Despite talk of a ‘great normalisation’ of monetary policy, persistent deflationary pressures mean global interest rates are set to stay lower for longer, according to Ariel Bezalel, manager of the Jupiter Strategic Bond Fund. Since the beginning of 2015, some observers have ‘called the top’ of the great bond bull market – the call in my view is somewhat premature. Prevailing economic forces suggest instead that the great bond bull market is far from over, and global central bank policy is likely to remain loose for the foreseeable future. The predictions of rising yields have generally centred around four claims. Firstly, bond bears point to evidence of improving economic conditions in the US and other advanced economies, which are set to break free from the stagnation which followed the financial crisis. Secondly, evidence of intensifying cost pressures via tightening labour markets and early signs of wage inflation, particularly in the US, are likely to force policy makers to raise rates sooner rather than later. Thirdly, with economic health restored, the US Federal Reserve is set to take the lead in the process of normalising interest rate policy after many years of extraordinary stimulus. 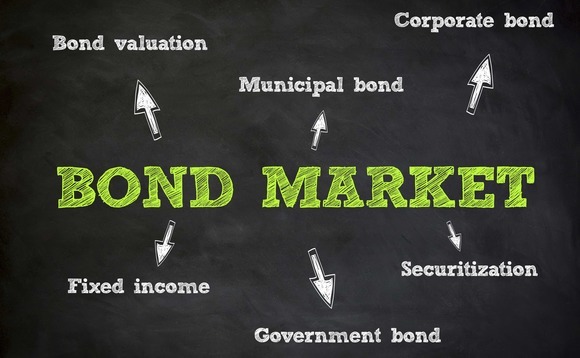 Finally, it has been suggested that bonds have simply entered a bubble, and, like all manias, that bubble must eventually burst. This debate, played out against a backdrop of monetary stimulus in Japan and Europe and worsening conditions in emerging markets, has led to a significant rise in volatility in global bond markets so far of the year, as interest rate expectations have diverged. This debate was brought into sharp focus as the September Fed meeting approached. Prior to the meeting, we took the view that the Fed was unlikely to raise interest rates in light of the bout of market volatility in August, amid fresh concerns about the health of the global economy. These global pressures are what caused the Fed, which has been itching to start normalising monetary policy, to stay its hand in September, having already done so in March and June. In our view, the decision to keep rates on hold was the latest signal that attempts by global central banks to slay the spectre of deflation have failed. Since the global financial crisis, central banks have engaged in an unprecedented cycle of monetary easing. All told, there have been approximately 700 interest rate cuts worldwide since the Fed last hiked rates in 2006 while over $10 trillion worth of asset purchases have taken place. Yet despite the magnitude of these measures, inflation across many of the world’s major economies is hovering close to zero. Globally, nearly 30% of countries are now gripped by deflation. In nearly 60% of countries, inflation is less than 2%. Consensus forecasts for GDP growth have also been slashed since the start of the year, amid mounting evidence that emerging market economies are slowing at an alarming rate. The collapse in commodity prices so far in 2015 has only exacerbated existing deflationary pressures. While other observers eager to call the first US rate hike are now citing December as the likely lift-off point, we see no signs that the deflationary forces in the global economy are abating. Far from weakening, we think that many of the fundamental forces driving deflation will persist for years to come. In our view, there are three key forces which will act as headwinds to price rises in the foreseeable future. In the post-crisis era, it has become a mantra for politicians and media commentators to call for governments and individuals to ‘balance the books’. Yet over this period, nearly $60trn has in fact been added to the global debt pile. The latest borrowers to amass high levels of debt are the emerging economies. China, whose economy is now $10trn in size, has amassed a $30trn debt pile. Despite the rhetoric of austerity, it has been governments which have amassed the biggest debt increase. In the aftermath of the crisis, many countries understandably used fiscal policy to recapitalise their banking systems or stimulate their economies. Yet with few governments deleveraging in any meaningful sense since the crisis, government debt is likely to remain a headwind to global growth in the coming years. Of particular concern is the fact that many countries have yet to attain a growth rate required to start deleveraging, with the eurozone a prime example. It seems self-evident to us that countries which cannot grow their way out of debt will not be able to tolerate higher borrowing costs, another reason why we believe rates are set to stay lower for longer. In addition, we are alarmed by the unwinding of a massive global carry trade now taking place, in which investors have borrowed at record low rates in US dollars and invested in renminbi-denominated assets such as property, wealth management products and the stock market. When the US launched QE, after having taken rates down to near zero percent, many investors started to borrow in US dollars as the greenback depreciated in value and used those proceeds to speculate or invest in a number of emerging markets. With the Chinese economy threatening to go into reverse, a lot of this money is now trying to get out of China and back into dollars. This creates a paradoxical situation in which good news in the US economy is bad news for the rest of the world. Every time the dollar strengthens, the cracks in emerging markets widen further. It also presents the Fed with a dilemma: does it ignore the rest of the world and begin normalising monetary policy, or take into account the weaknesses in the global economy? The Fed is also aware that many emerging market corporates have also borrowed heavily in US dollars creating a domestic risk to financial stability. It’s reckoned that trillions of dollar in debt has been issued since the crisis, primarily by emerging market corporates. In the short term, we think that the Fed’s stated intention to begin raising rates will soon be shelved as the global economy deteriorates. World GDP is worth $77trn, of which about 67% is comprised of developed markets, while 33% is developing. Back in 2008 many were of the view that emerging markets could somehow decouple from the problems in the developed world and we all know what happened next. I fear it is the other way around today, and that the US and other developed economies cannot escape the turmoil in emerging markets. In Asia, countries such as Singapore and Thailand are already experiencing deflation, while in China inflation is falling sharply. I suspect we will see a lot more easing in Asia in the coming months, which will put downward pressure on currencies, lead to cheaper exports, and put a cap on inflation globally. While we have seen big currency depreciations elsewhere in emerging markets, the yuan has only marginally weakened. I believe it’s only a matter of time before China enacts a more meaningful depreciation of its currency, as it’s apparent that the economy in China has weakened considerably this year. These are indeed challenging times. In the portfolio we are steadily moving up the ratings scale. The average credit rating of the Jupiter Strategic Bond fund currently stands at triple B+. As concerns about China have grown, we have steadily increased the average duration in the fund to over 5 years, primarily by boosting our allocation to highly rated sovereigns such as the US. Our duration is longer than many of our peers. We have also been reducing our high yield exposure and adding to investment grade corporates. Governments with sound finances and that are in control of their printing press are attractive in my opinion, which is one reason why we also own sovereign bonds in Australia and New Zealand, where further rate cuts are likely as their economies continue to feel the impact of the China slowdown. With my belief that yields are unlikely to move much higher in this world, high quality sovereigns should provide an effective hedge against deflationary shocks. As well as longer dated US treasuries, we have of late also been buying short dated US Treasuries. Rather than raising rates in the near term, we think that the Fed will flip from being hawkish to dovish as sentiment weakens and the economic picture becomes gloomier.